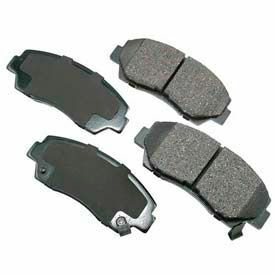 Akebono® Brake Pads Are Used For Automotive or After-Market Retail Applications. 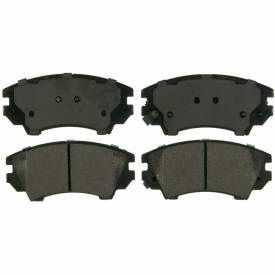 Brake Pads are ceramic for long lasting durability. Pro-ACT Ultra-Premium Brake Pads use the aftermarket's only OE-validated, application-specific friction formulations providing optiumum performance. 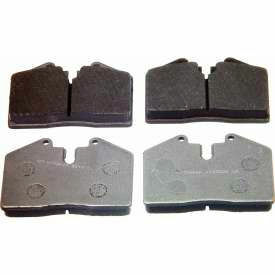 Euro Series Brake Pads provide excellent stopping power while extending rotor life and virtually eliminating brake dust. 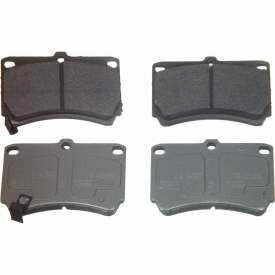 Performance Series Brake Pads are used for intense driving, light trucks, SUVs, or law enforcement vehicles to provide smooth, quiet brake performance. For popular domestic and Japanese vehicles. Wagner® SevereDuty commercial friction is exclusively engineered for vehicles driven in extreme environments. These dependable and durable friction products meet or surpass stringent testing and quality standards. Formulations engineered for extreme brake system temperatures. Carbon-enhanced, metallic, disc brake pads with the most technologically-advanced friction material. Friction material integrally molded to backing plate for exceptional strength and long life. Attached-shims, slots, chamfers, and wear sensors match those provided by OE. Powder coat paint finish for long-lasting protection. Wagner ThermoQuiet® is the "One Piece Brake Pad" that provides quieter braking and superior stopping performance in any driving condition. Exclusive Integrally Molded Sound Insulator (IMI) dissipates heat and vibration for quieter braking. Proprietary friction formulations provide superior stopping performance and less dust. Wagner ThermoQuiet delivers Brakes Without Compromise; Quieter Performance, Superior Stopping Power, and Less Dust and Longer Pad Life.